This #SundayMorning #FoodExploration included enjoying #Food at some #HoleInTheWall outlets. The morning started with having #Tea & #BunMaska at a roadside makeshift shop (not the original kiosk) opposite #Chanakya. The Buns done on fire had that charred texture and the aroma. Our next stop was a small unnamed stall in the vicinity of #HanumanTemple in #ConnaughtPlace for #KachoriSubzi. Khasta Kachori was big size with good masala filling. Subzi was also good in quantity and was spicy & tangy. The tang was quite predominant. The kachori, once dipped in subzi becomes soft but retains its texture. Then we went to Jain Sahab #Bedmi #Puri on Ansari Road. Again a non descriptive shop, Google can take you there but still you would find it with difficulty. The Bedmi plate is a delight to watch. Two fluffy golden bedmi with a bowl of aloo subzi with a dash of methre Chutney, kaddu ki subzi and some pickle. Bedmi was crisp and flavourful with literally no oil. Aloo subzi was mild with a tang of methre. The kaddu subzi was sweet, sour and silky. Most interesting was a peculiar pickle which turned out to be our very own Lauki. 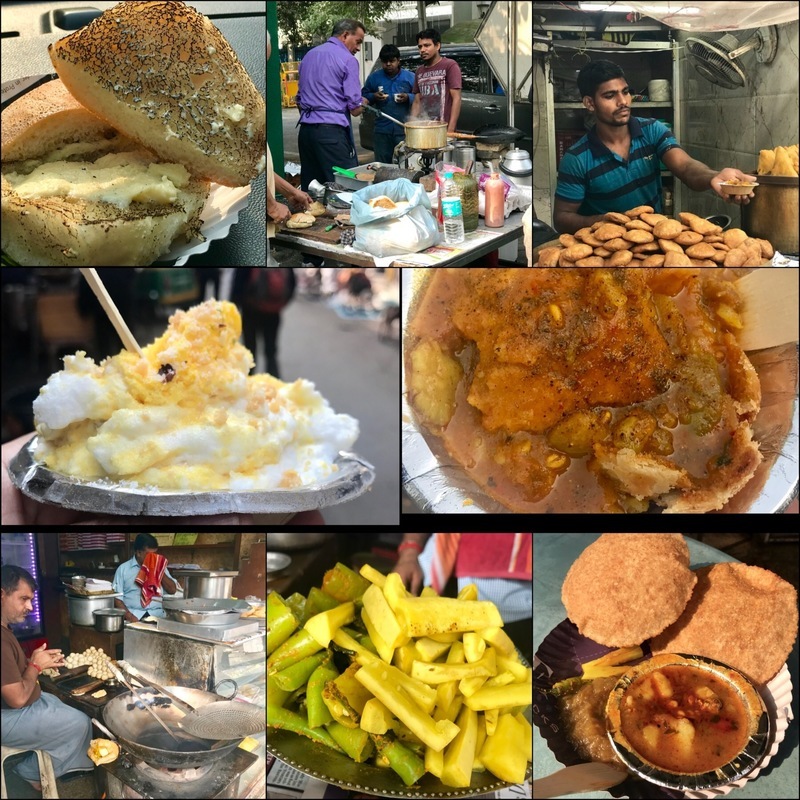 And, when you are in the vicinity of #ChandaniChowk and when the weather is right, then #DaulatKiChaat is a must.